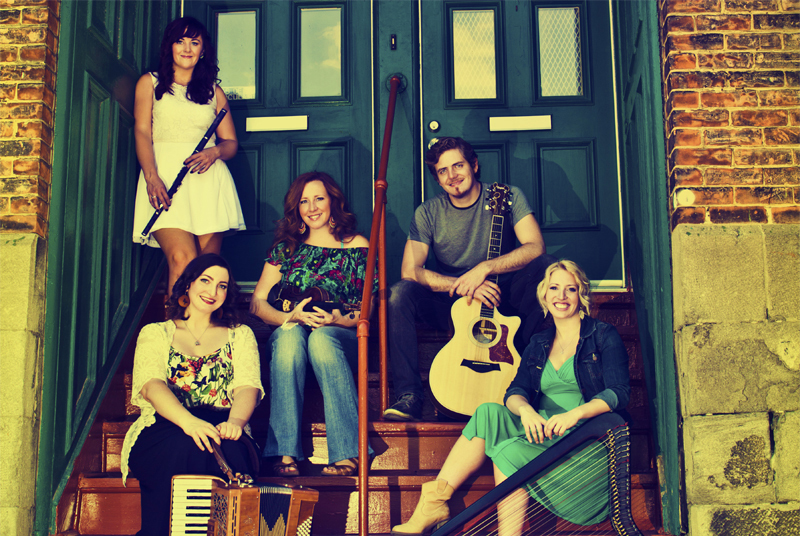 Hailing from Scotland, Ireland, Cape Breton and Vancouver, its five members are united by a love of traditional music. Using fiddle, accordion, harp, guitar, flute, step-dance and vocals these five virtuosos blend boundless energy with unmistakable joie de vivre. Each player within The Outside Track is a master of their chosen instrument with the band stacking up an impressive amount of international awards. This amount of talent alone would be enough to recommend the band but in this case the end result is so much greater than the sum of the parts. The line up comprises Norah Rendell (Canadian Traditional Singer of the Year nominee), Mairi Rankin (Beolach), Ailie Robertson (Live Ireland Winner, BBC Young Trad Finalist), Fiona Black (BBC Fame Academy Winner), and Cillian O'Dalaigh. The band have enjoyed 3 years of extensive touring in the UK and Europe, including appearances at Goderich, Sidmouth, Whitby, Cornwall and Leigh-on-Sea festivals. They have recently completed their first tours of France, Germany and Switzerland, and are appearing at several major Canadian festivals in Summer 2009 thanks to their new relationship with North American agents Wooden Ship Productions. When it is, the programme for The Outside Track will appear here.